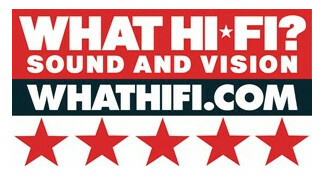 Awards 2009 and Supertest winners in their price class, these are tremendous little speakers. Our first listen to Q Acoustics' 2010s appeared in the 2008 Awards issue. A mere handful of pages later they'd become our Best Buy up to £150. Six months later, the shine shows no sign of wearing off. Nicely finished (those curvy edges look even sweeter in the £130 glossy black or white option) and thoughtfully designed (the base-sited speaker binding posts make the 2010s a tidy wall-bracket proposition), these are attractive little cabinets, even by the standards of pricier rivals. They're on the small side, and hoping they'll fill a biggish listening room with sound is optimistic, but in every other respect the 2010s remain completely admirable. A big part of their charm is their cheerful adaptability. The rattling power-pop of Fountains of Wayne's Stacy's Mom is fast and enthusiastic in the Q Acoustics' hands – they summon spirited drive and attack, and the soundstage, while not the biggest, is explicit. There's bite and sheen in equal measure at the top end, good variance and manful extension at the bottom, and the midrange grants vocals space and detail. Not speakers to scrimp on the details, the 2010s integrate their drivers smoothly and handle big dynamic variations without stress. More evidence of the 2010s' impressive dynamic ability, cogent timing and strong sense of integration comes from a listen to Ennio Morricone's indestructible theme to A Fistful of Dollars. Soundstaging, imaging and focus are even more remarkable here, and the Q Acoustics have the deft lightness of touch and strong sense of atmosphere to build to a stirring crescendo. There's a positivity and confidence to the 2010s that only gets more engaging the longer you listen. Shortcomings don't amount to much more than the 2010s' physical limitations. There are other speakers readily available that offer greater scale and low-end presence, although some judicious fiddling with their room position (we found close, but not too close to a rear wall was best) can help the 2010s in terms of bass impact. 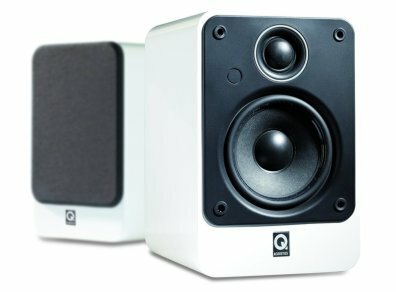 In all other regards, these speakers lead the way at this price – there isn't a budget micro-system around that wouldn't feel the benefit of a pair. Price :RM689 with postage within Peninsular Malaysia.